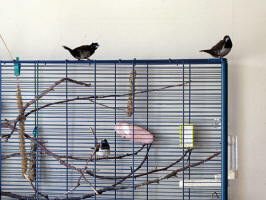 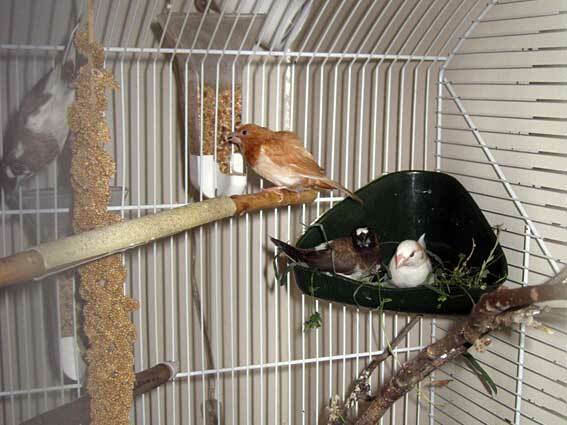 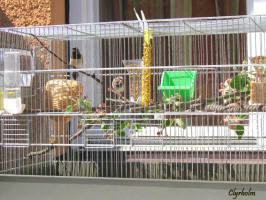 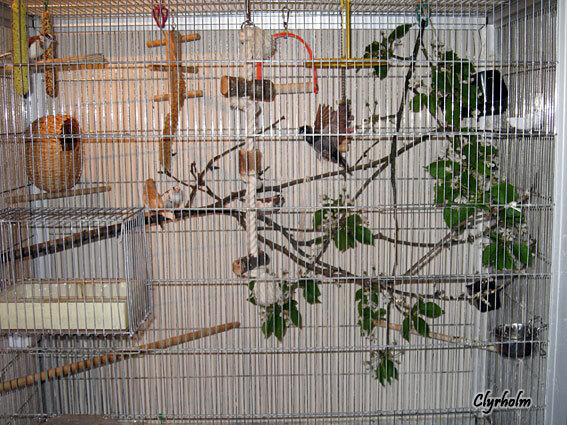 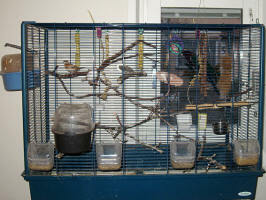 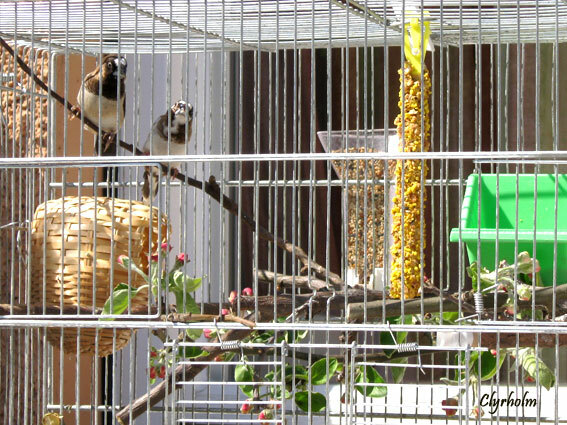 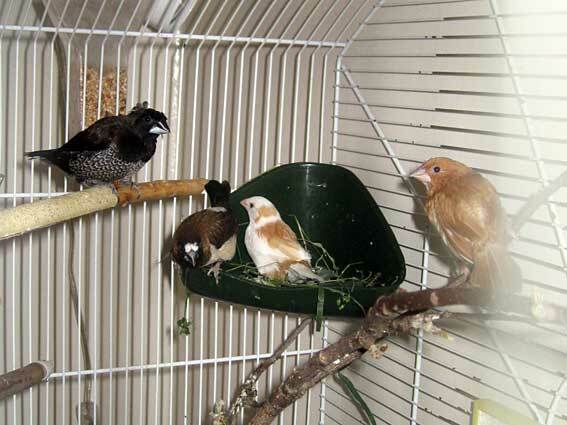 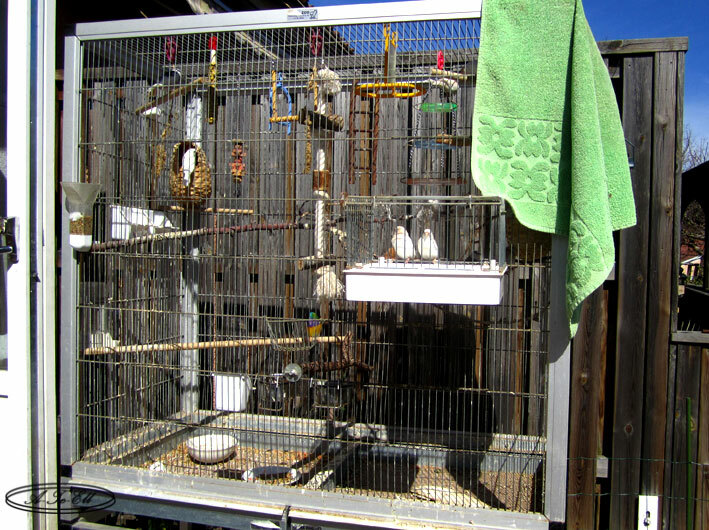 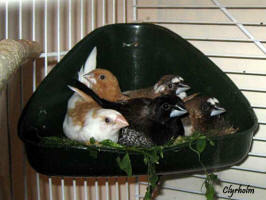 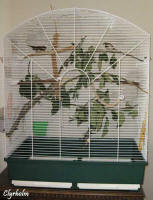 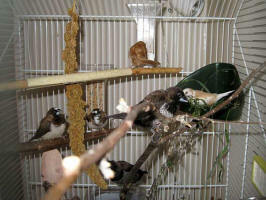 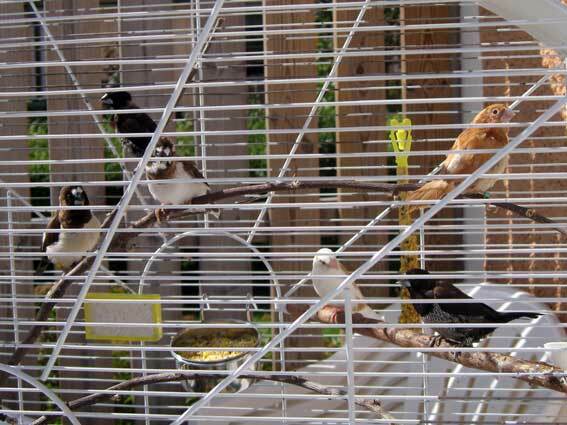 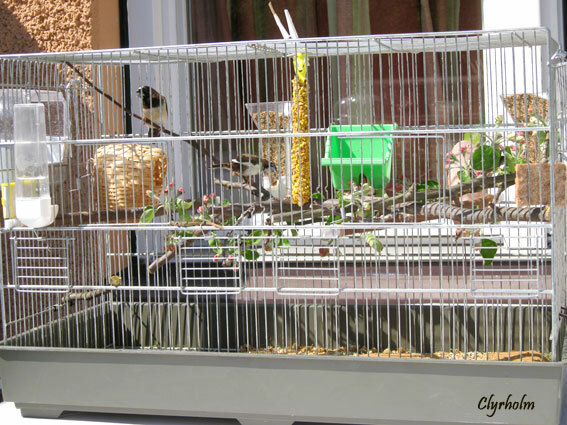 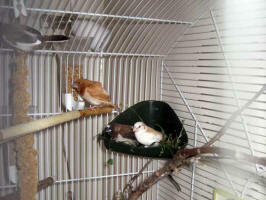 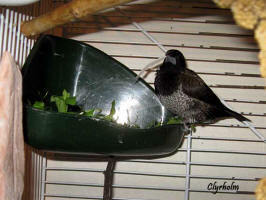 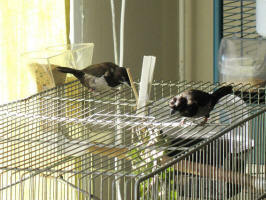 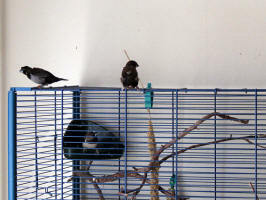 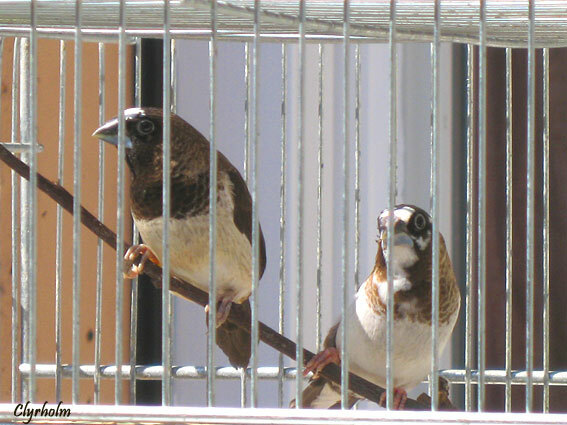 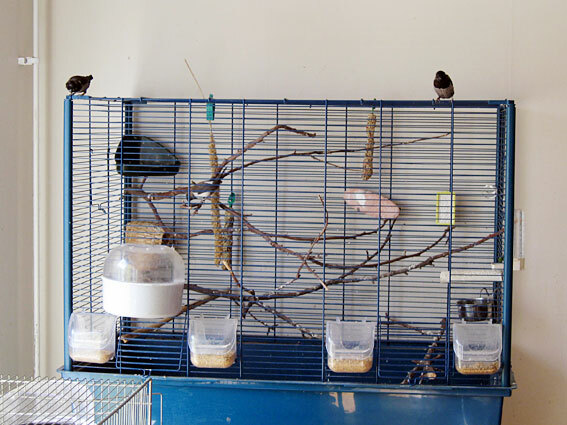 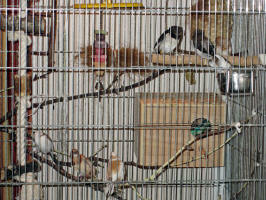 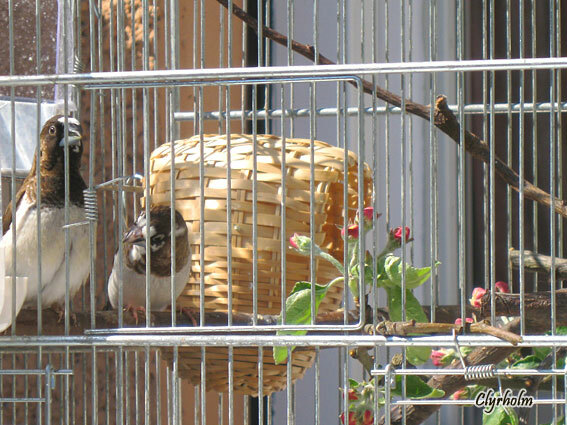 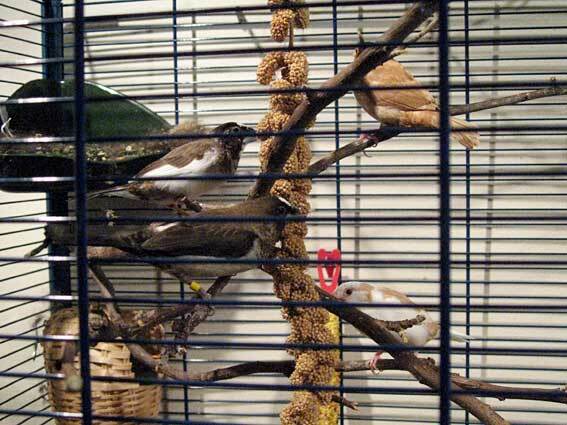 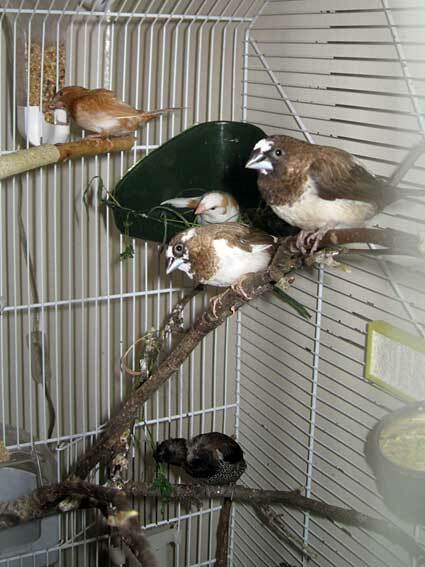 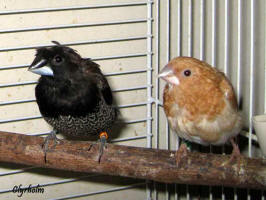 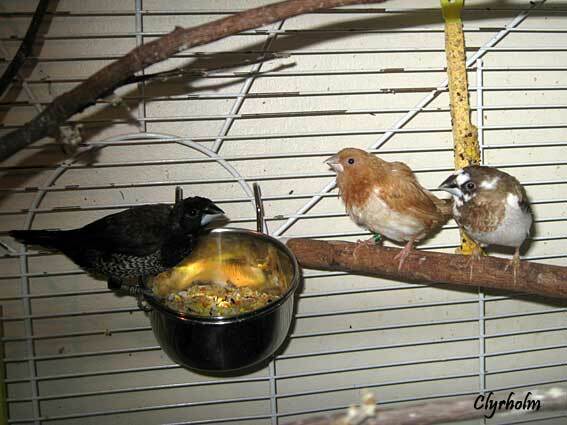 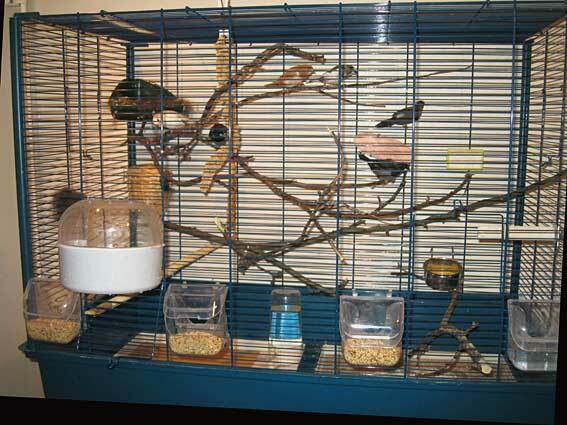 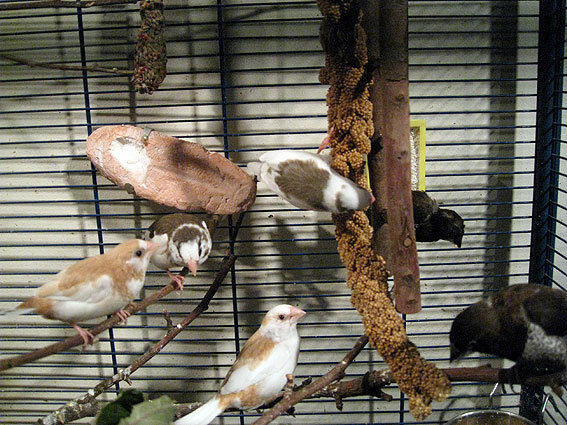 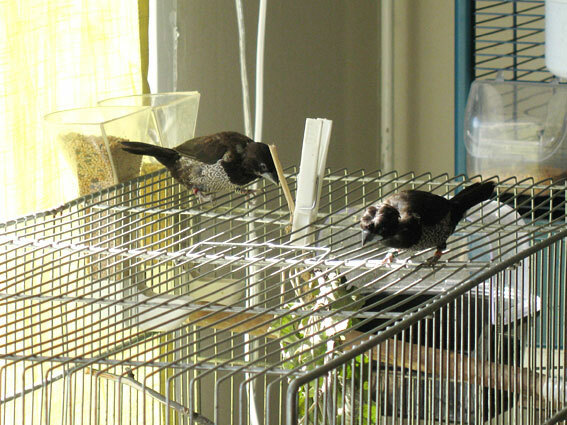 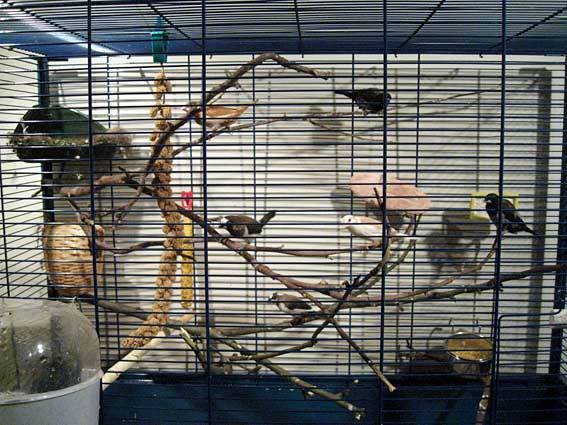 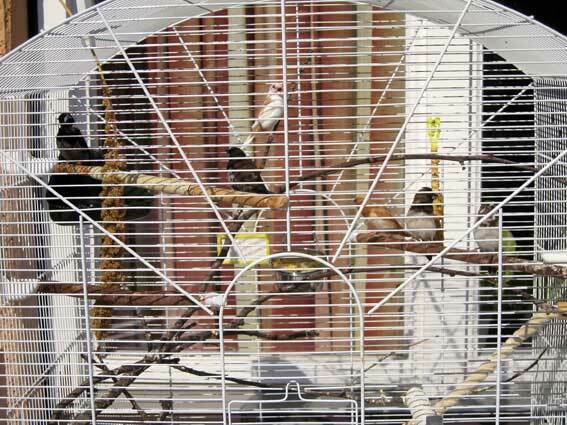 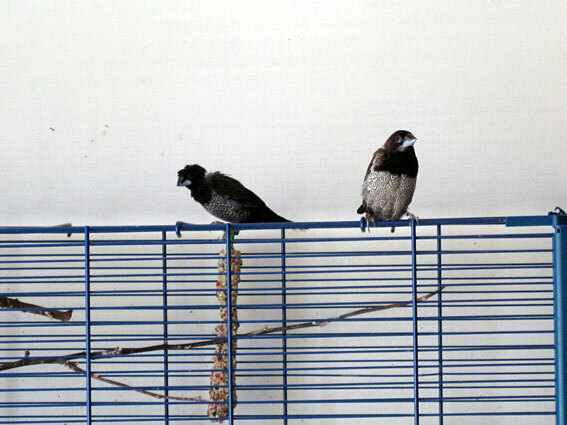 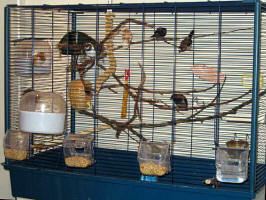 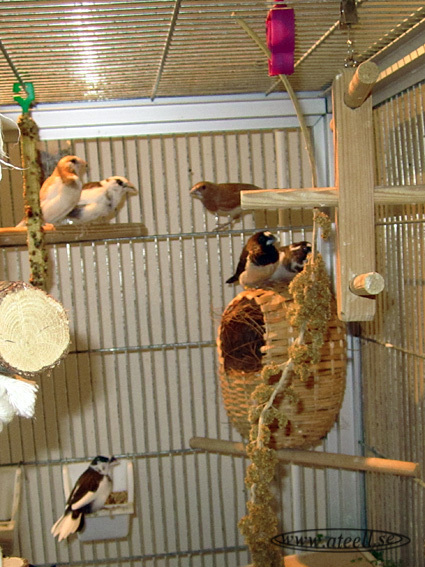 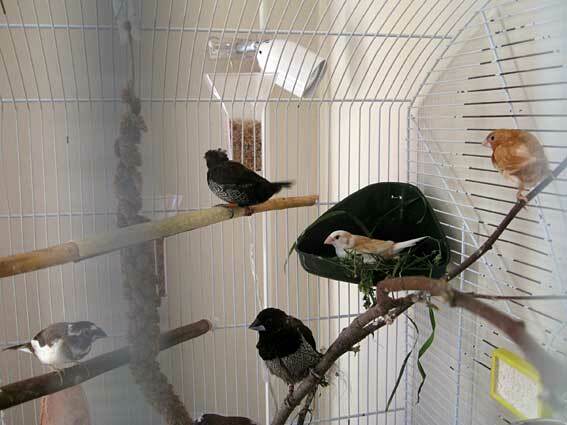 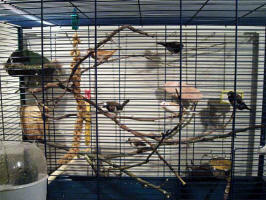 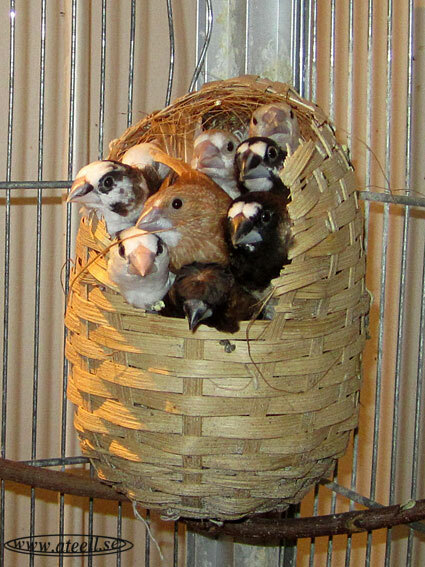 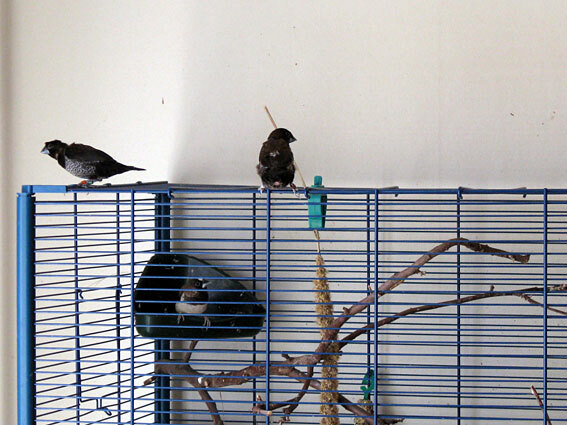 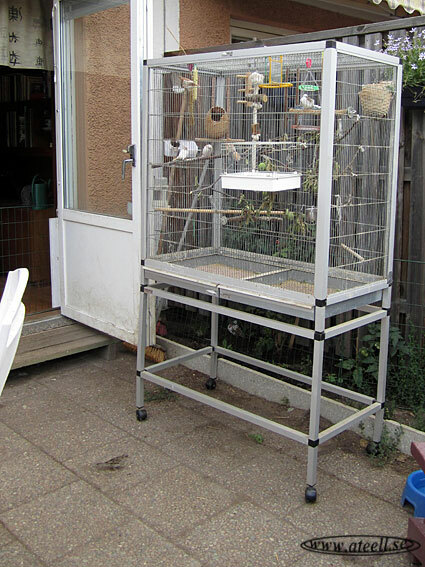 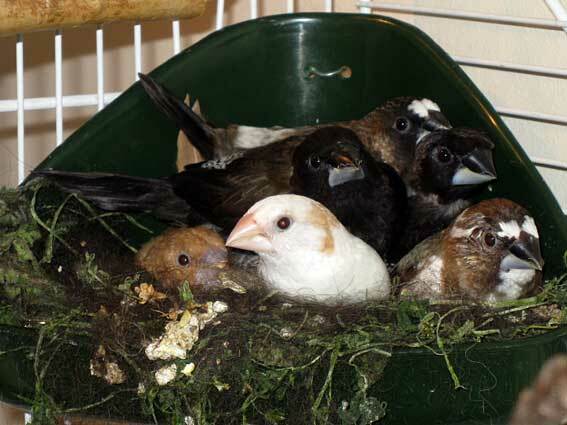 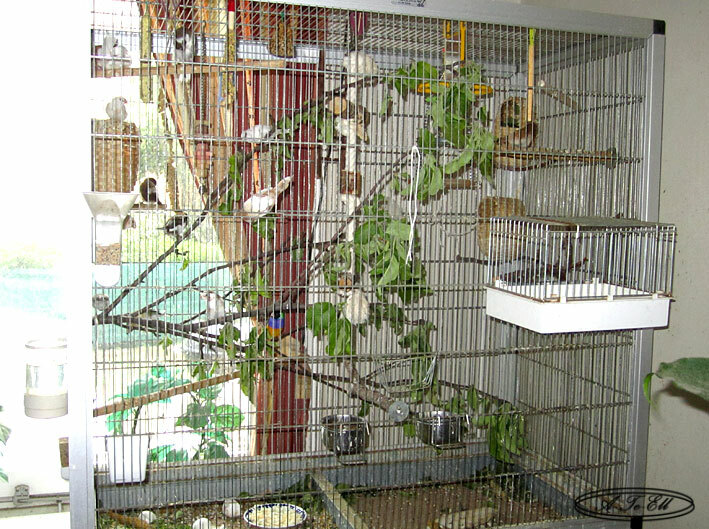 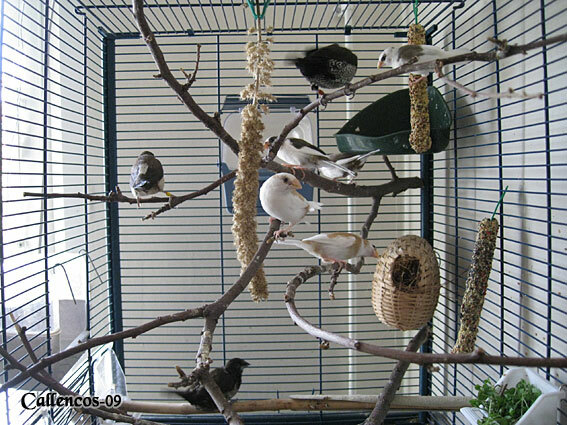 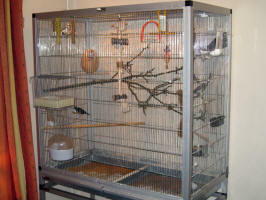 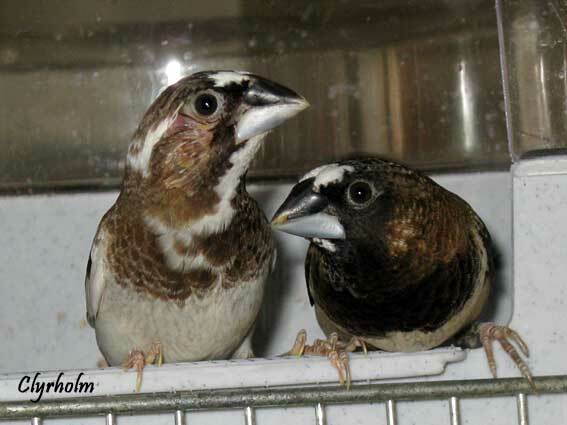 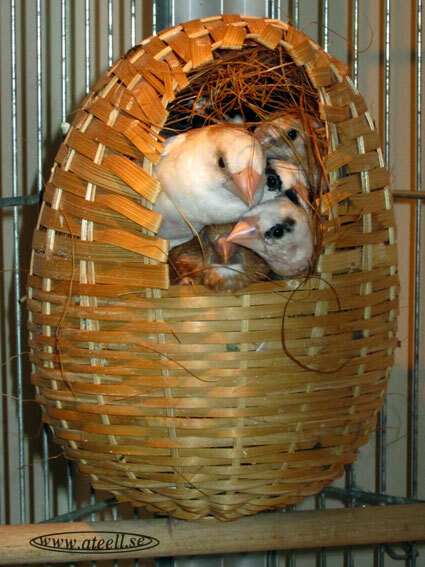 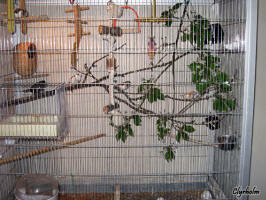 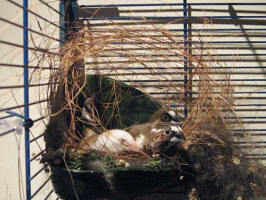 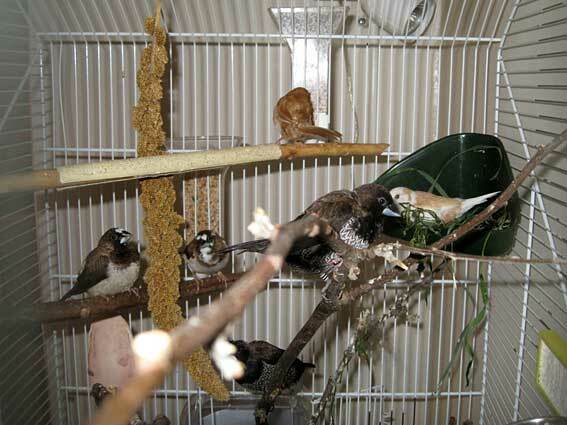 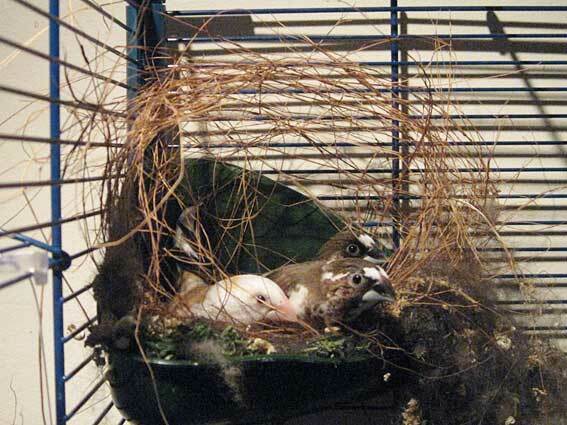 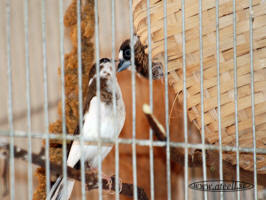 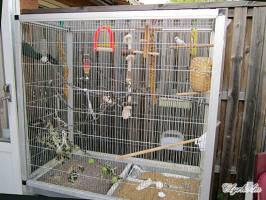 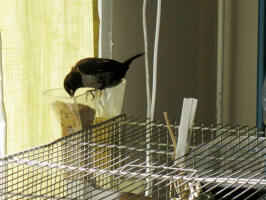 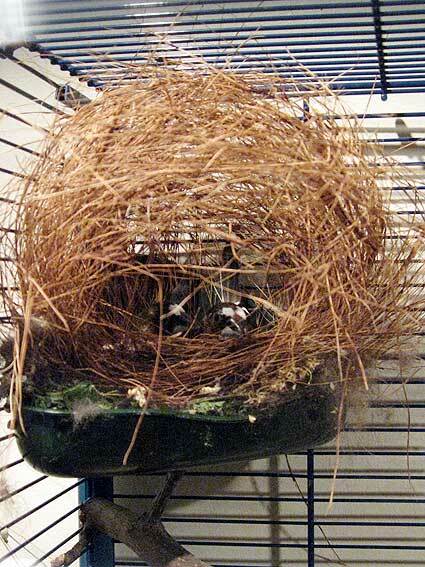 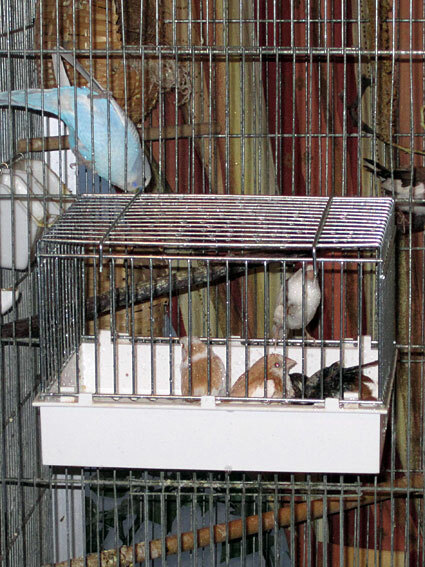 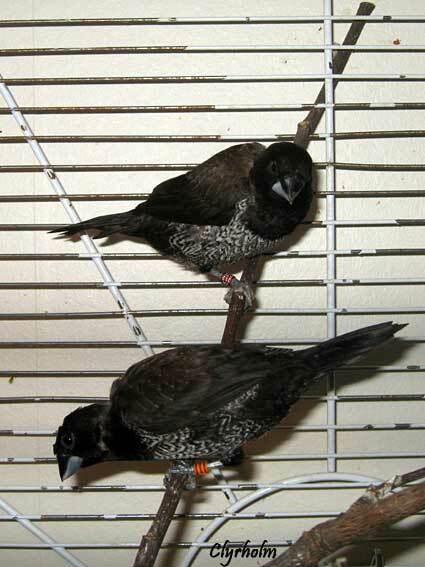 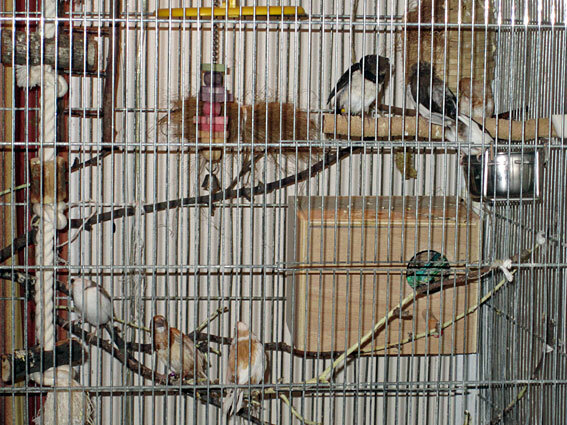 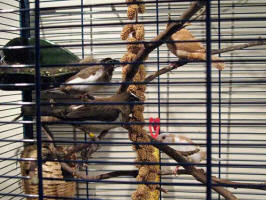 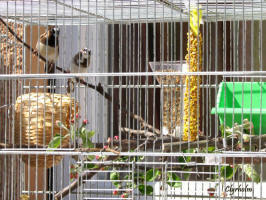 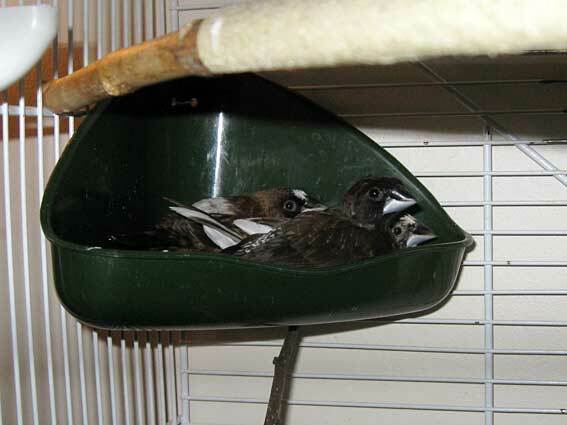 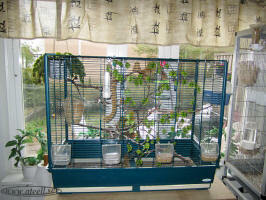 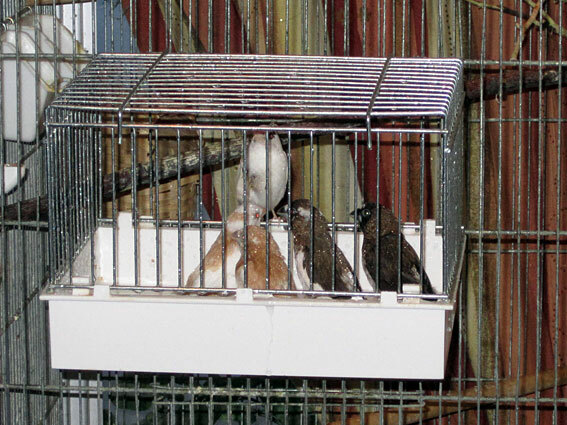 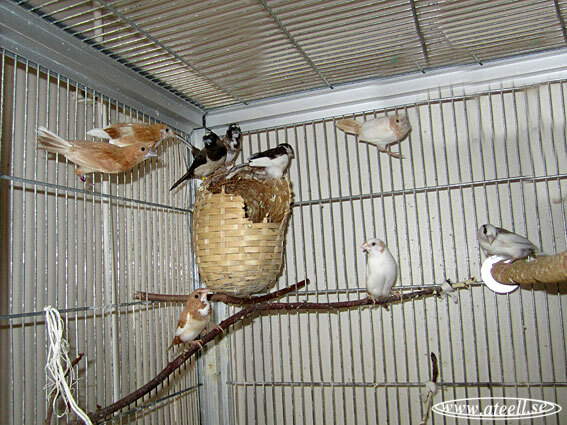 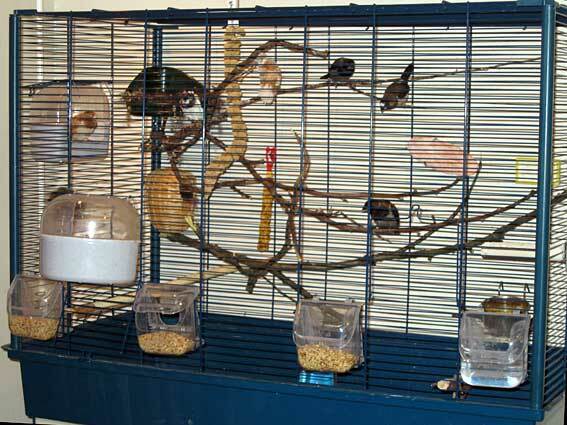 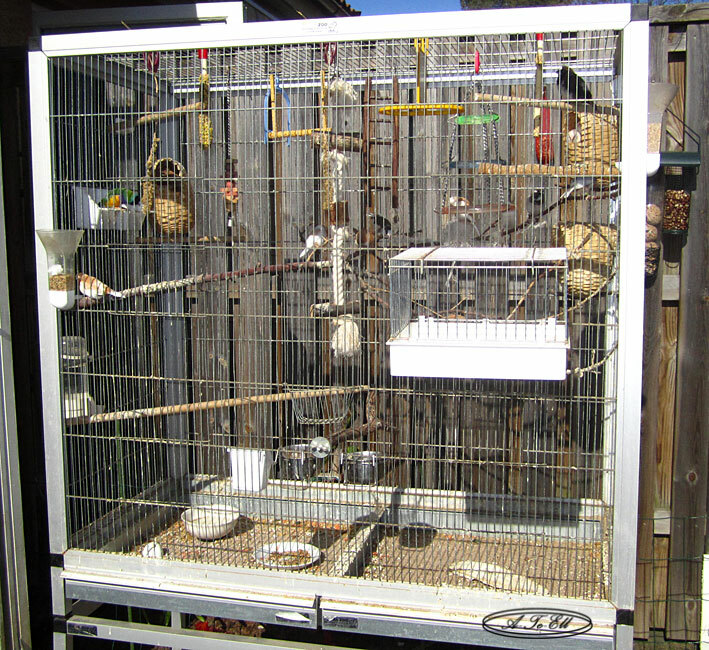 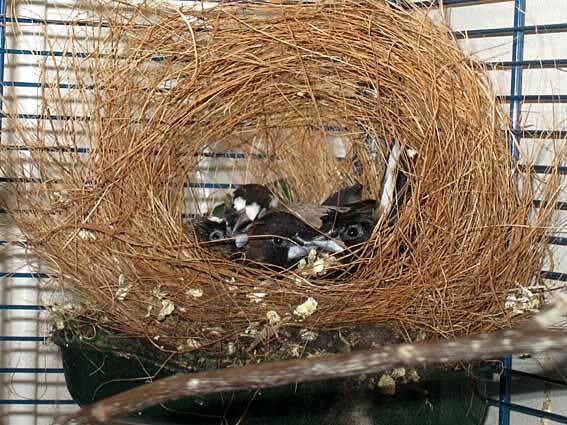 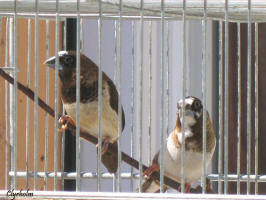 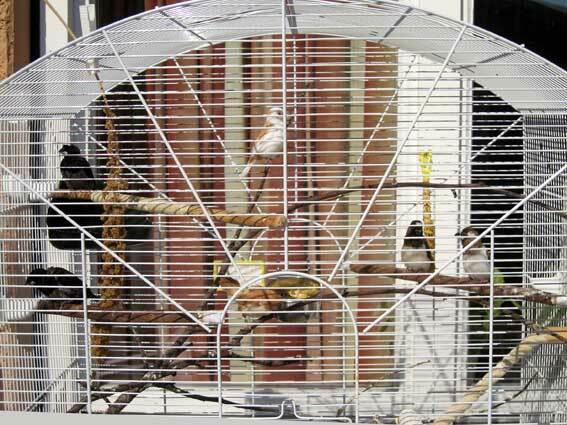 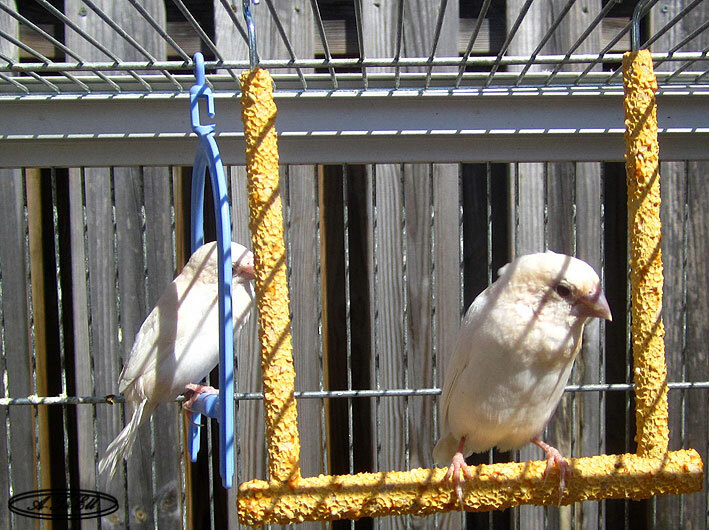 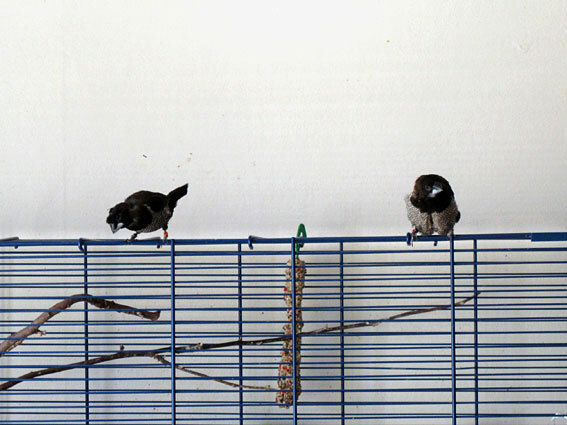 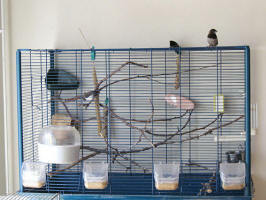 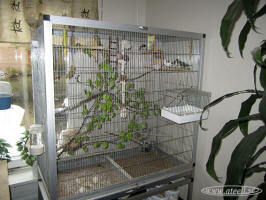 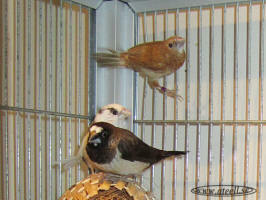 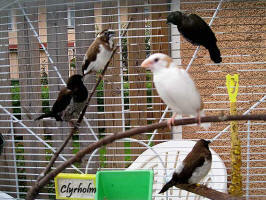 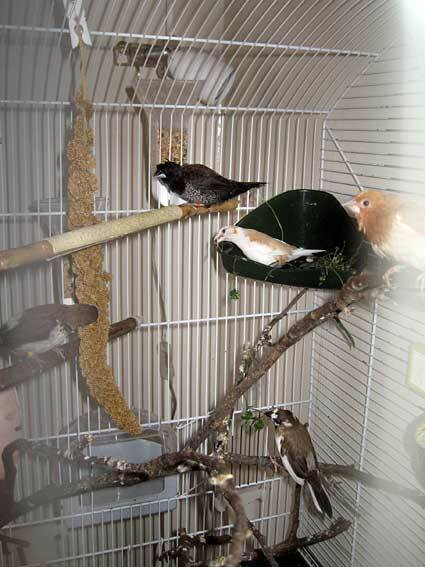 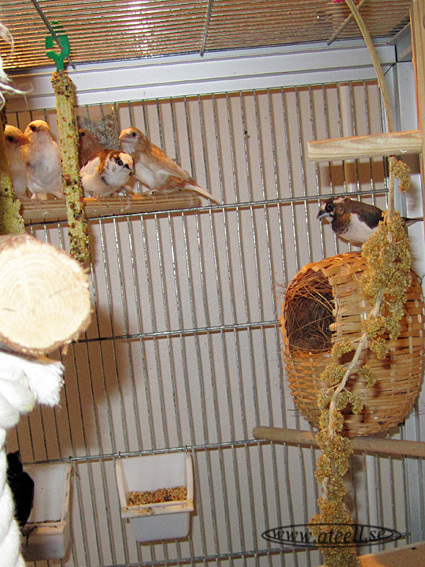 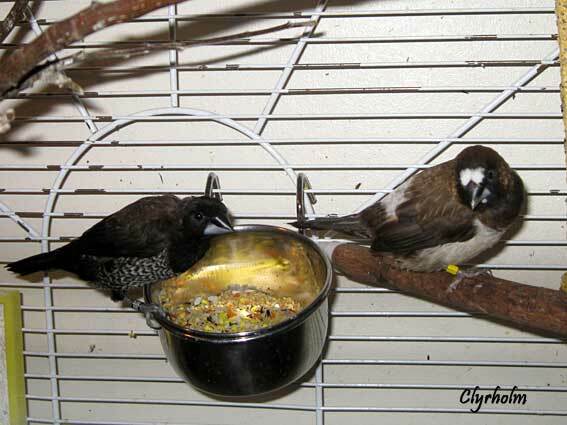 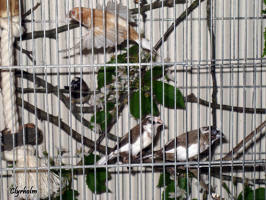 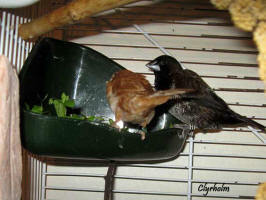 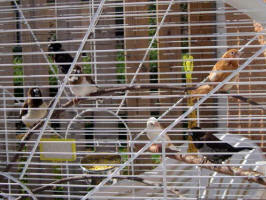 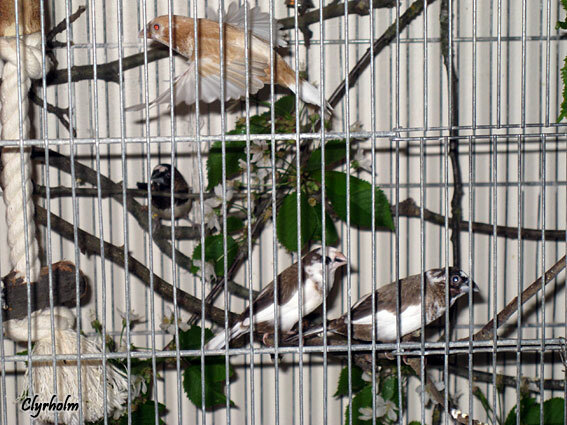 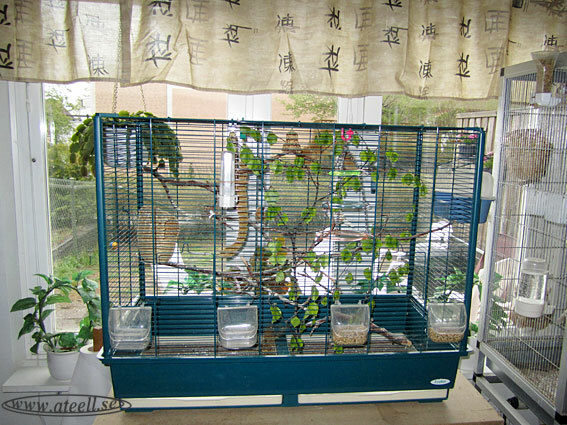 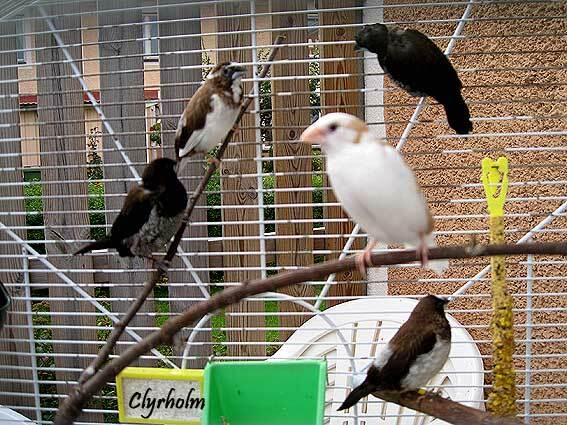 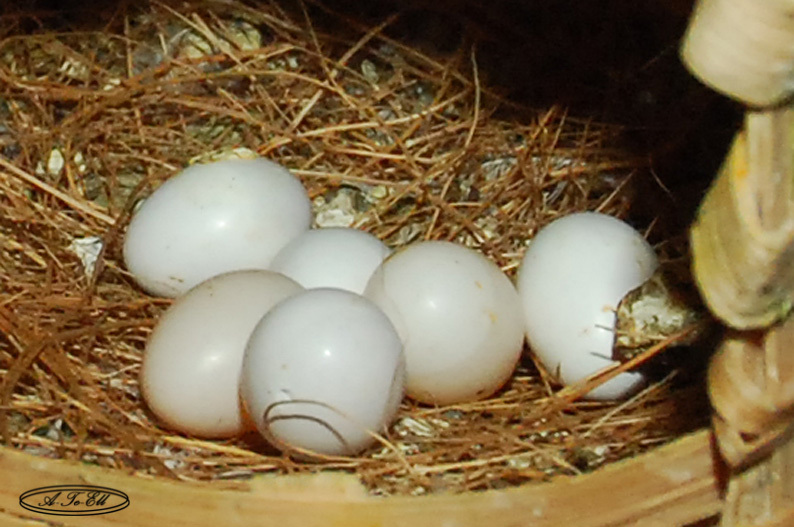 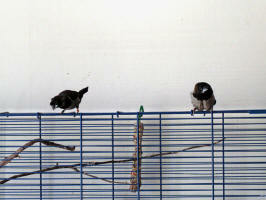 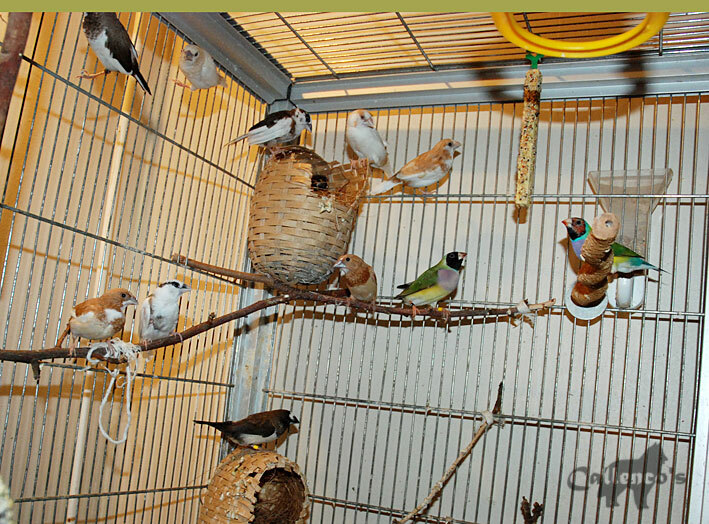 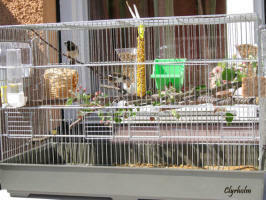 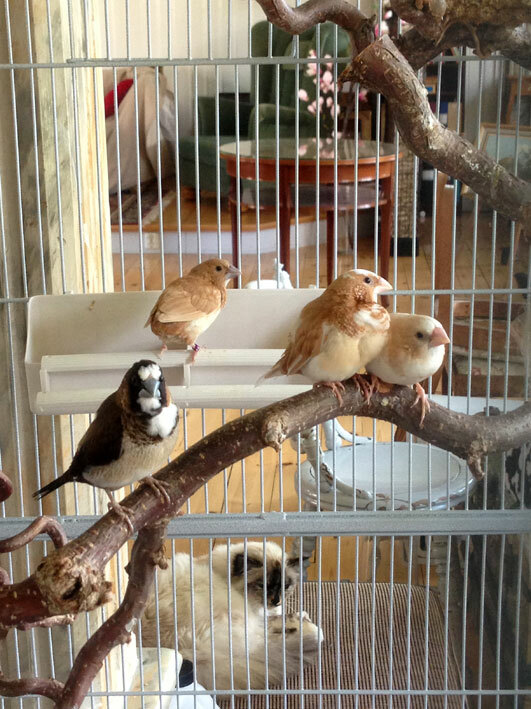 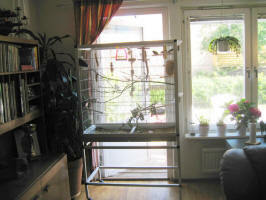 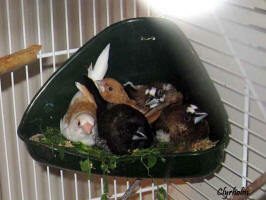 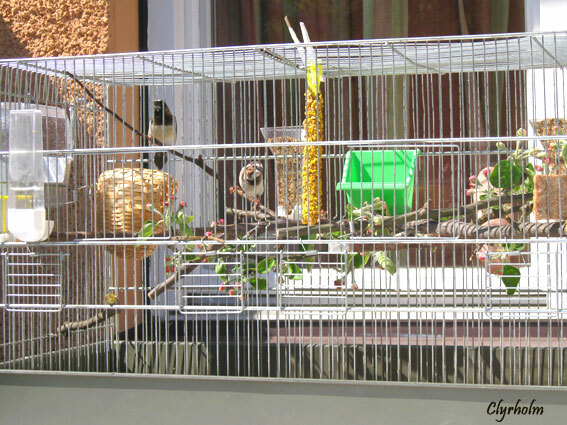 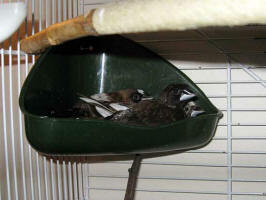 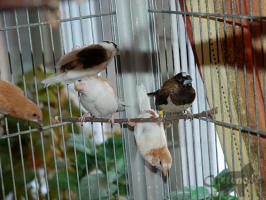 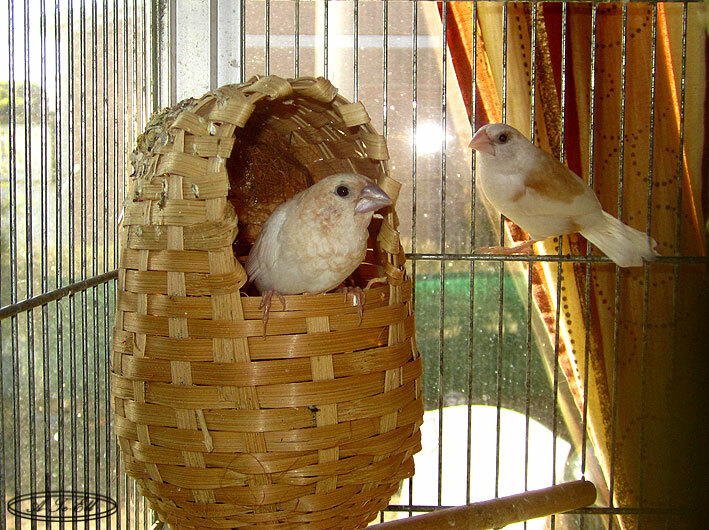 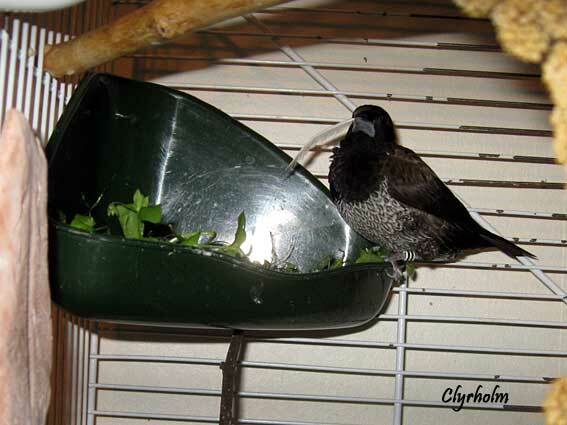 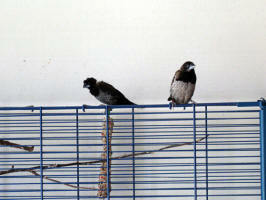 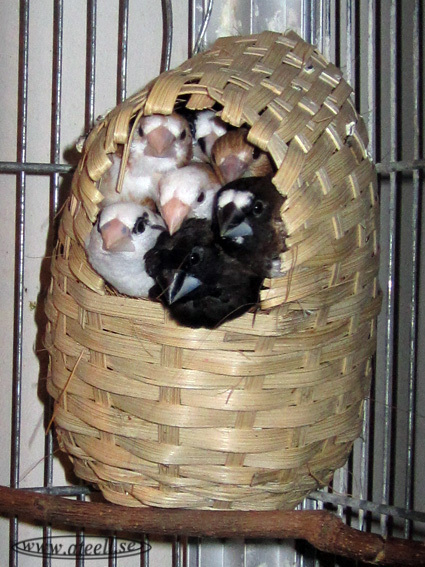 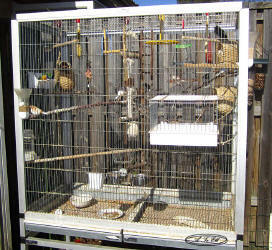 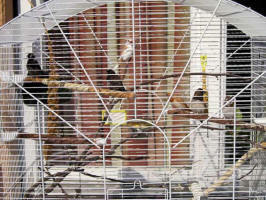 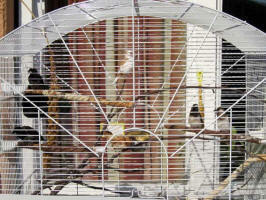 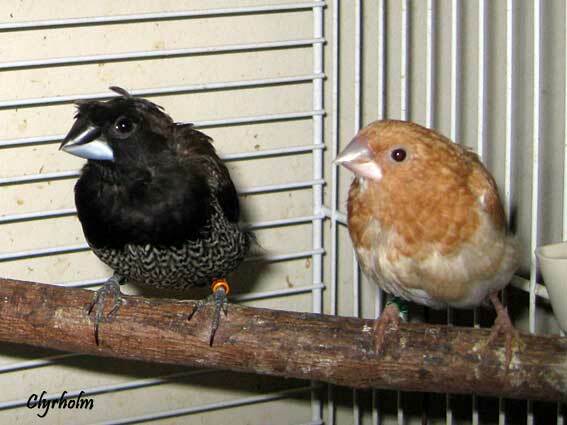 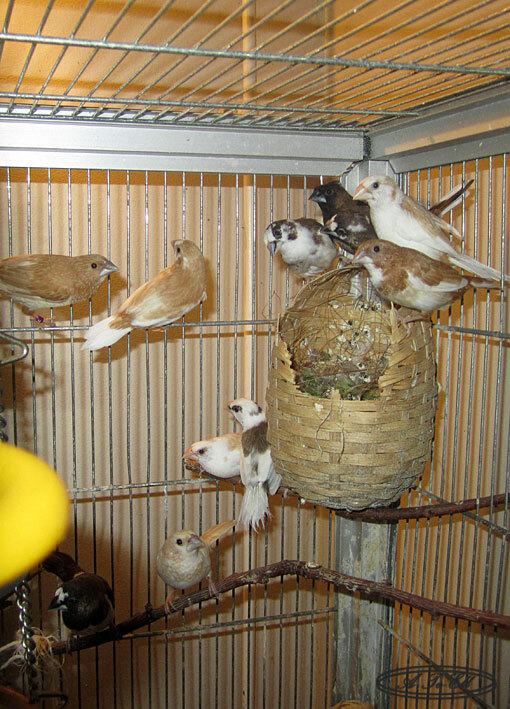 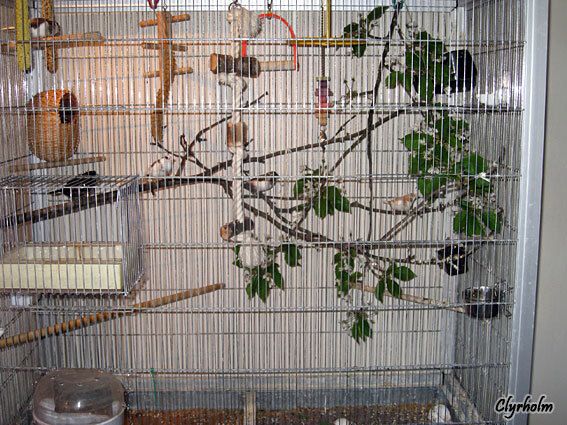 The finches are very confused about the small sparrows below the cage. 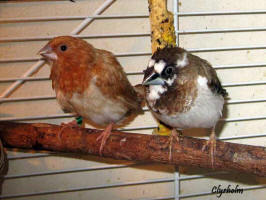 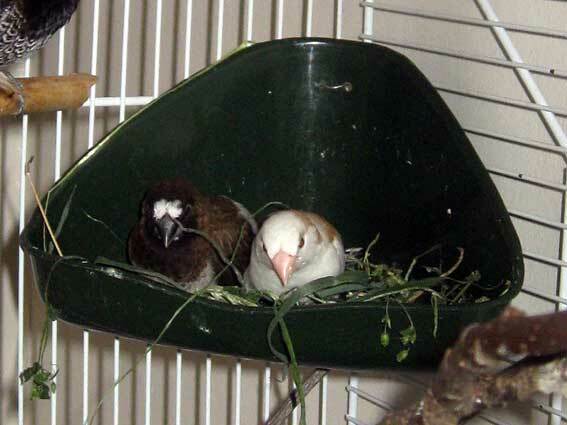 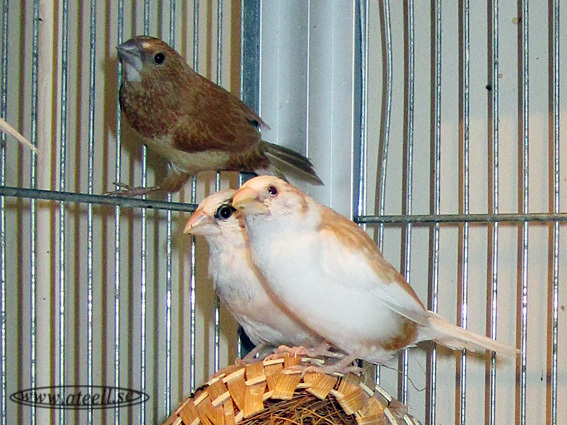 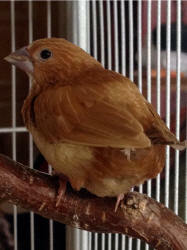 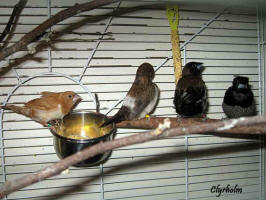 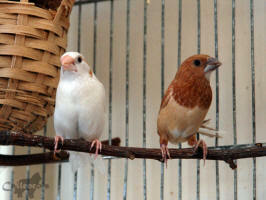 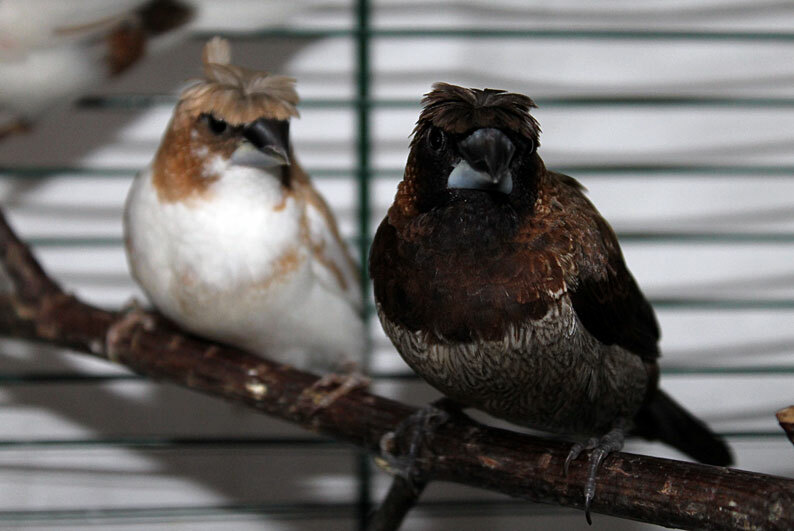 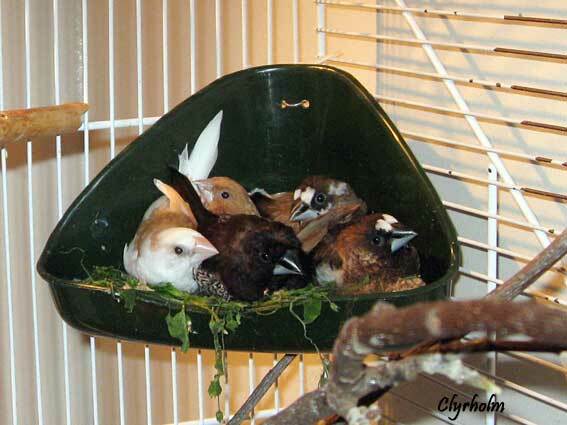 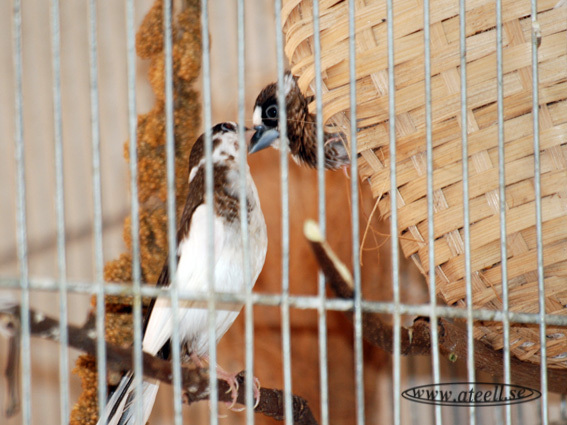 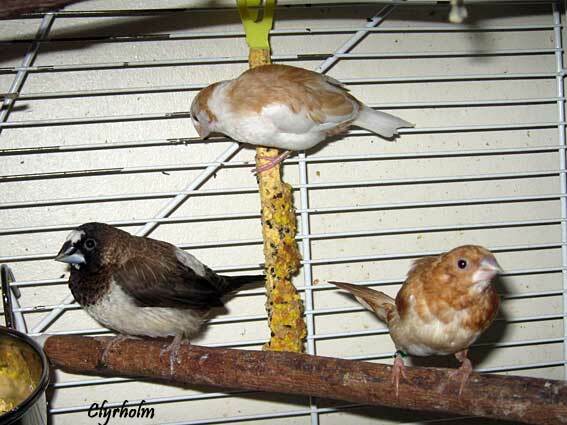 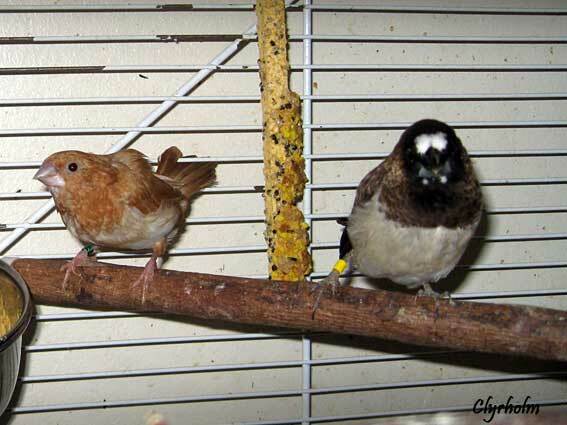 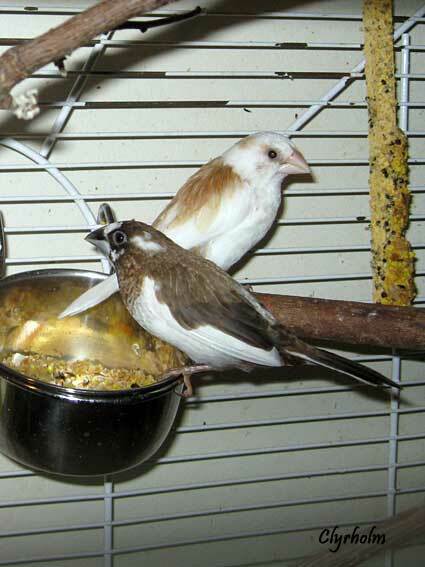 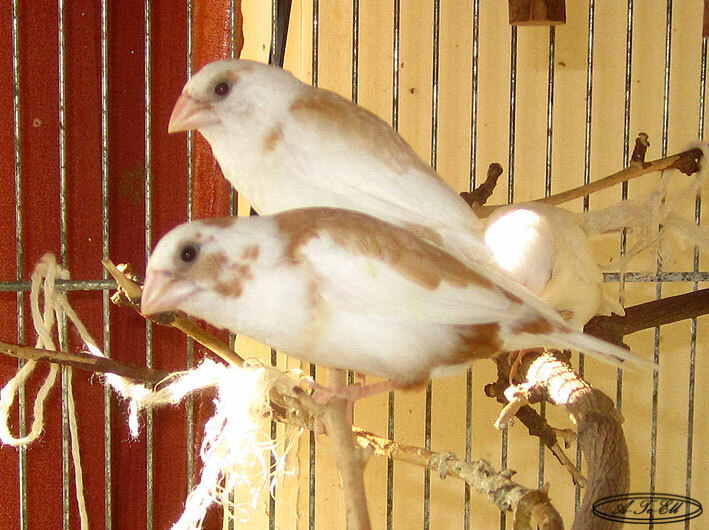 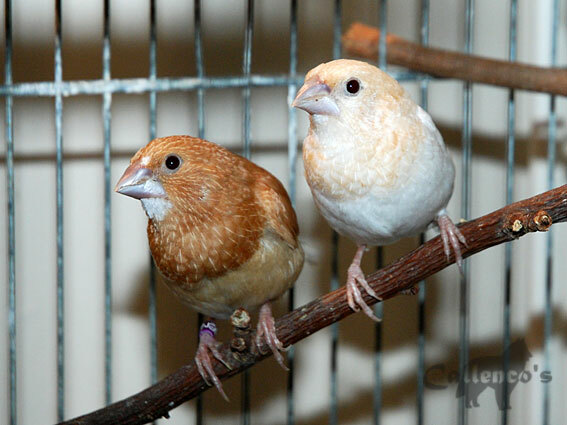 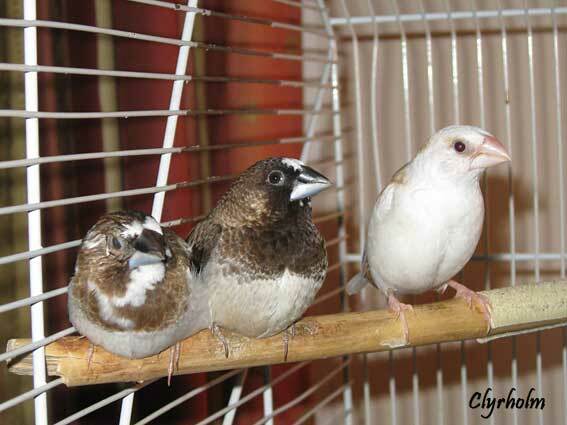 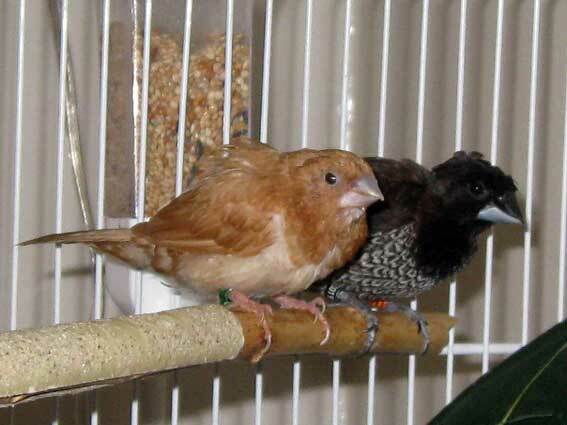 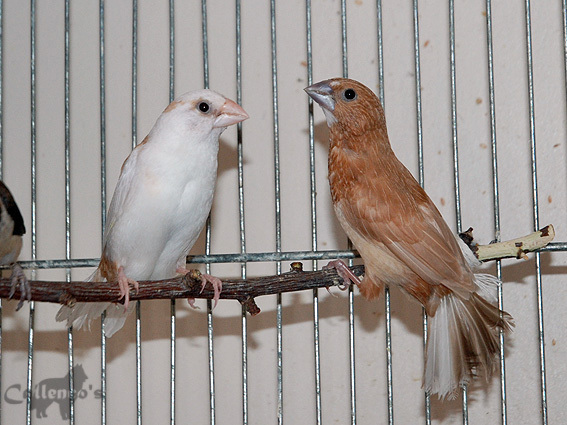 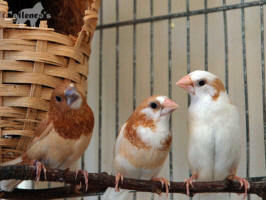 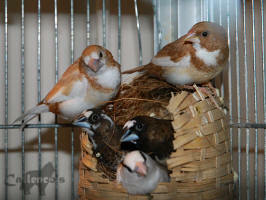 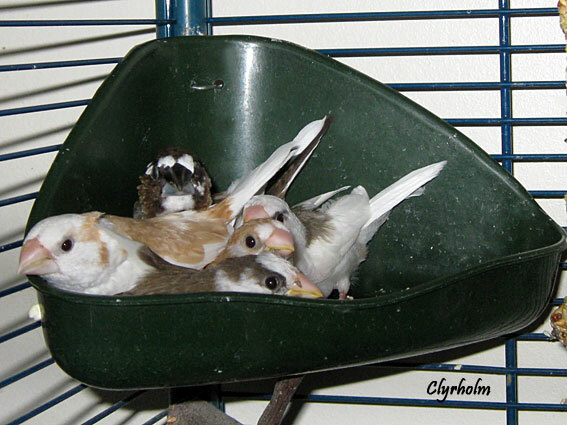 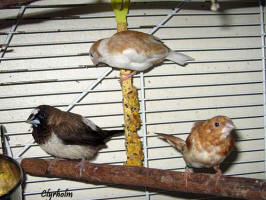 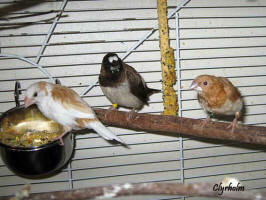 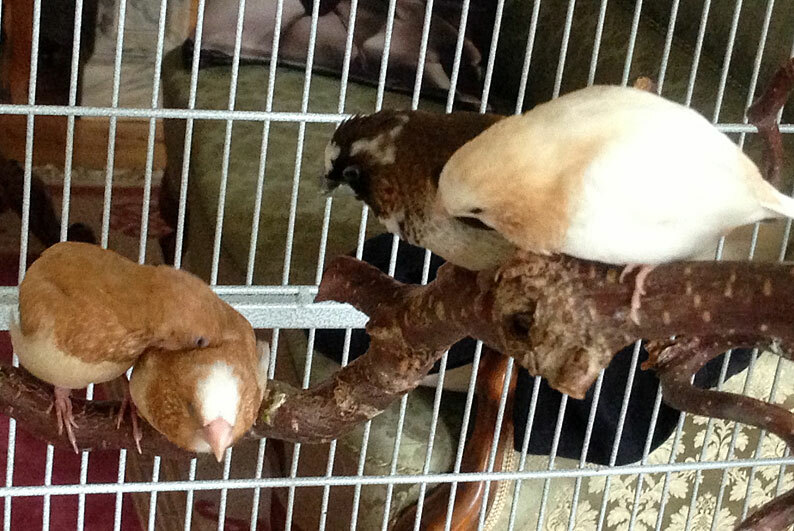 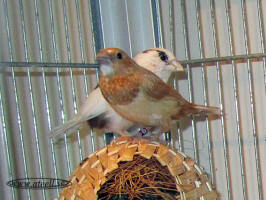 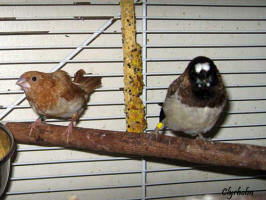 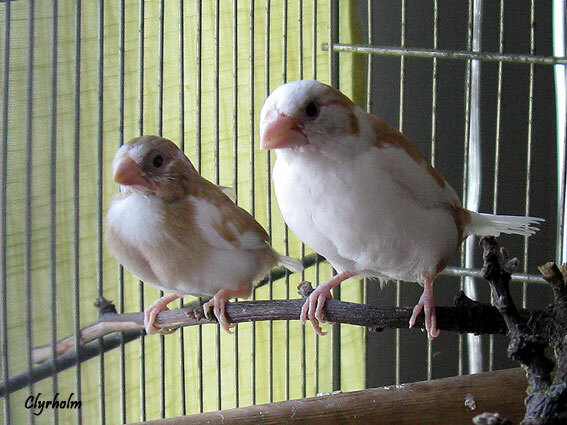 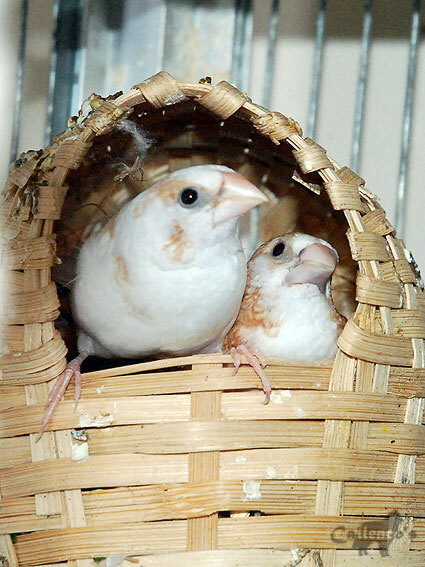 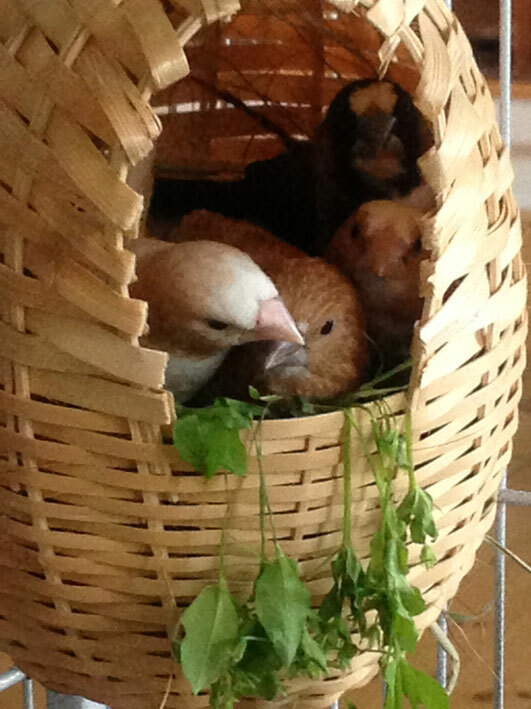 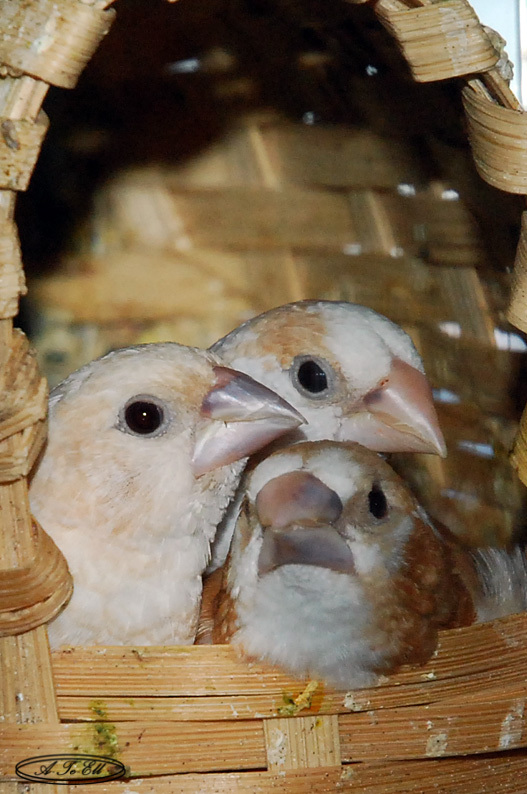 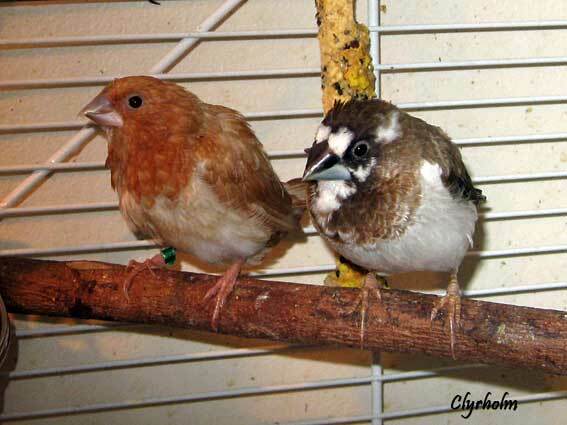 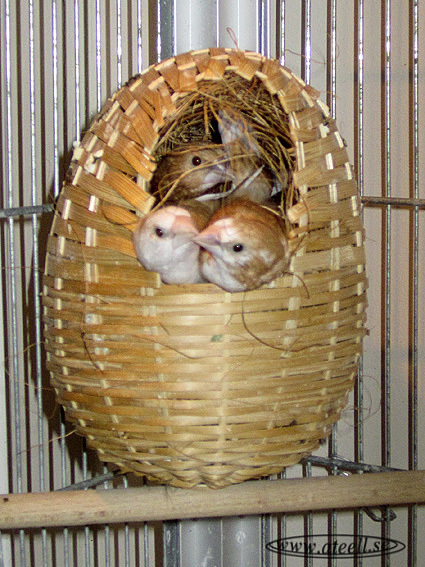 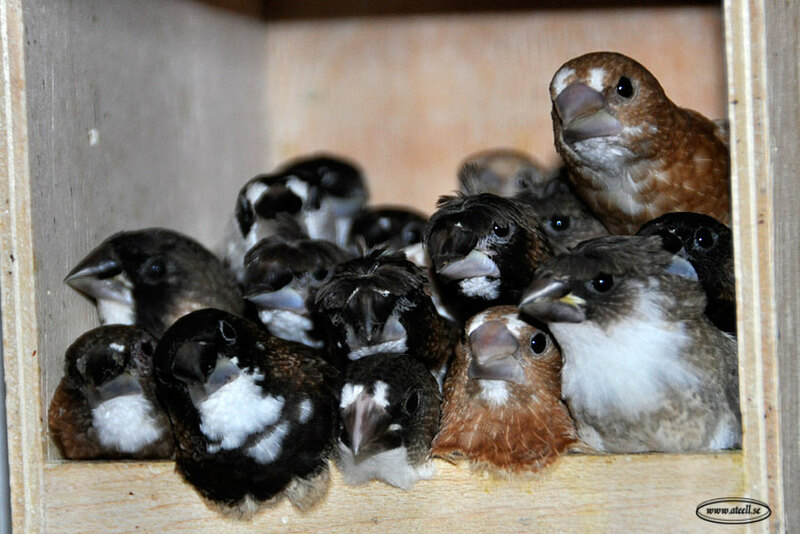 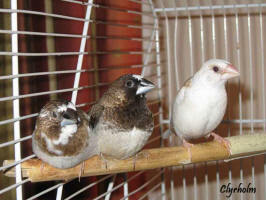 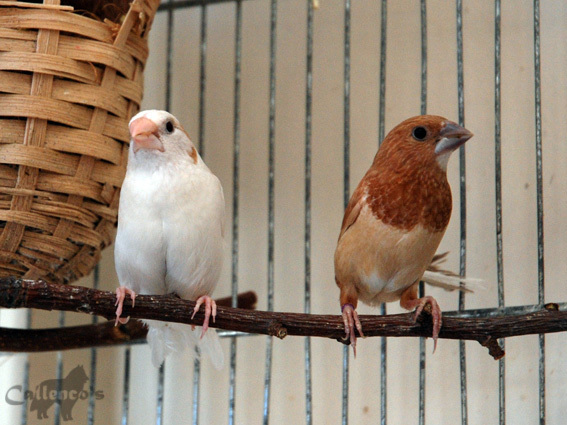 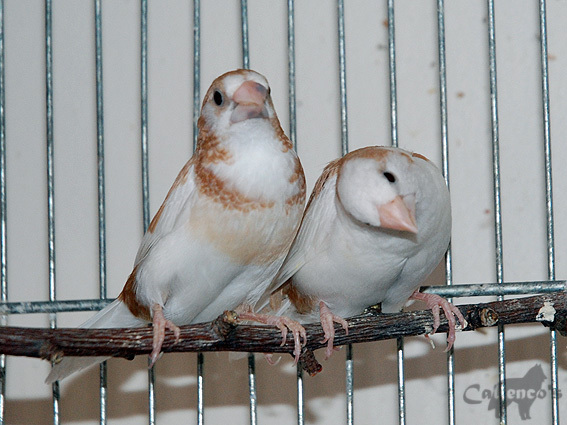 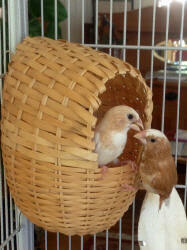 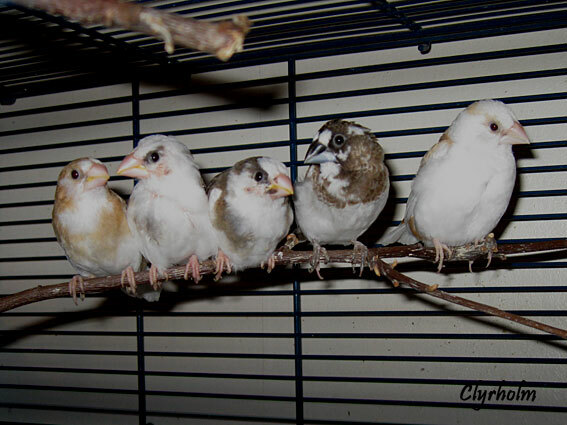 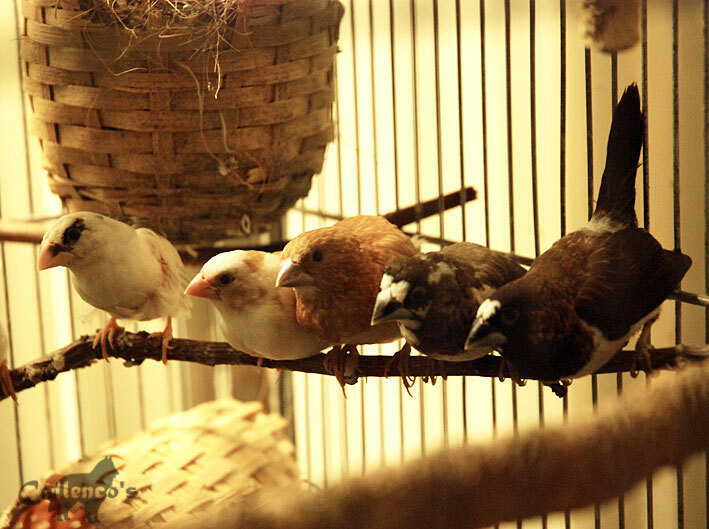 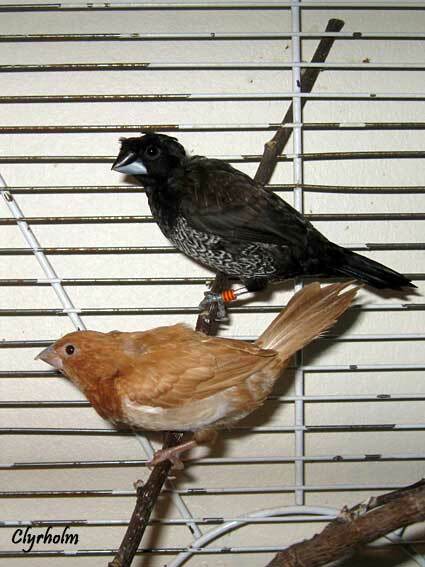 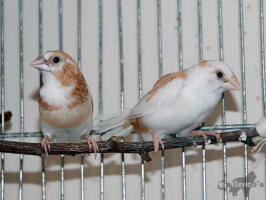 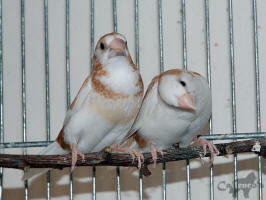 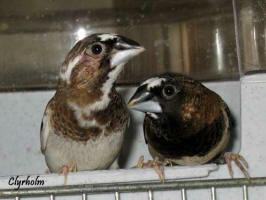 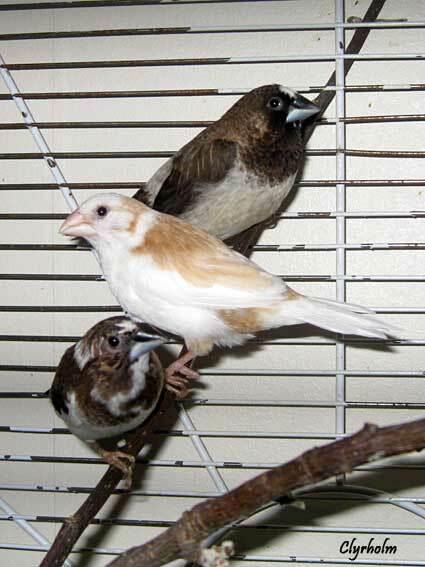 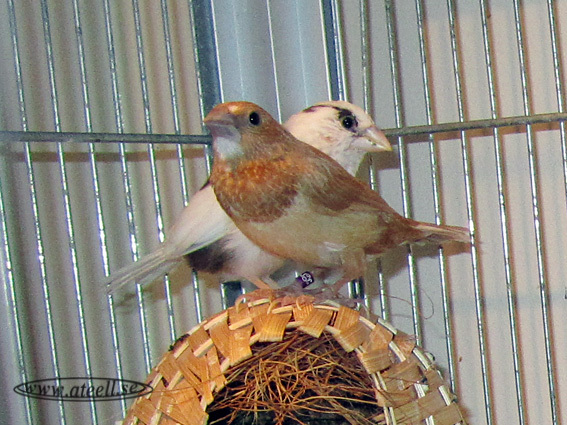 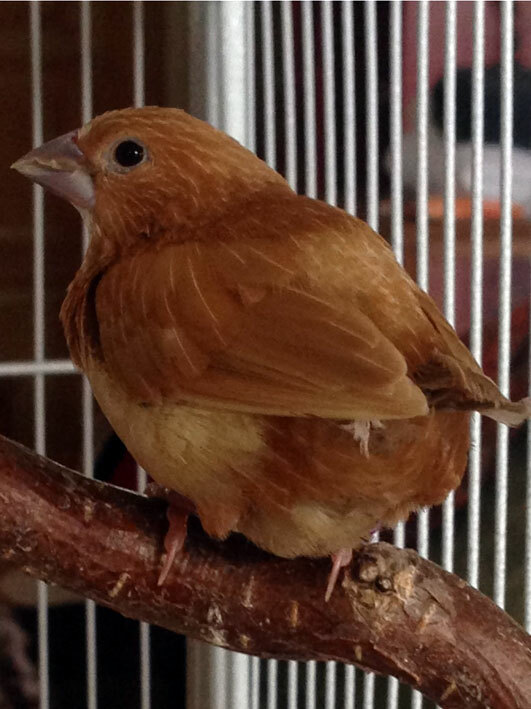 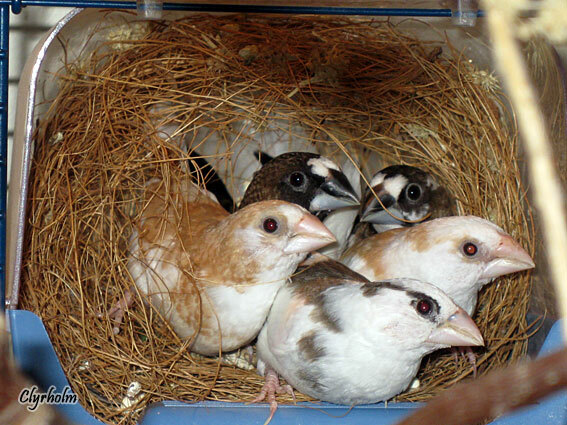 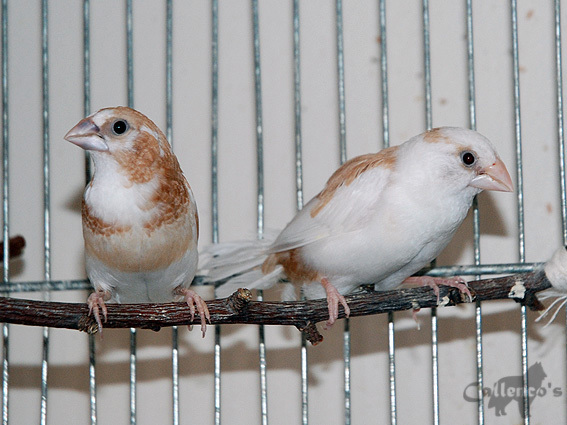 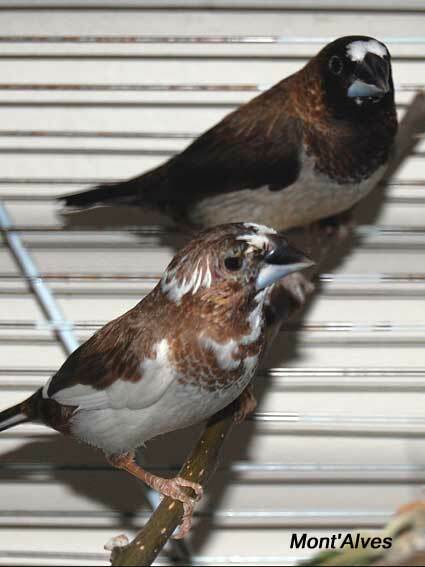 My beautiful light brown finches. 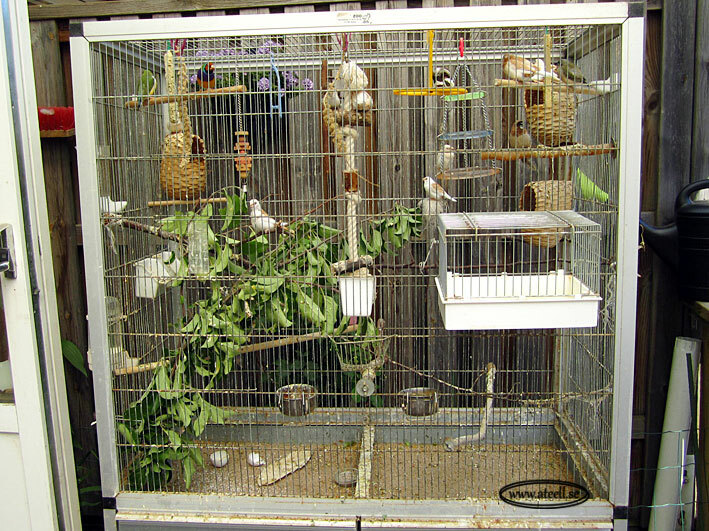 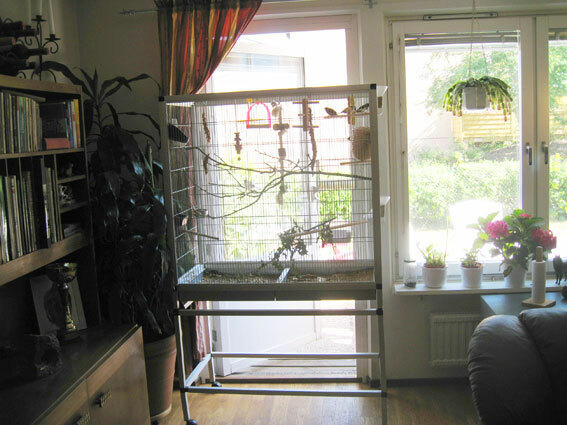 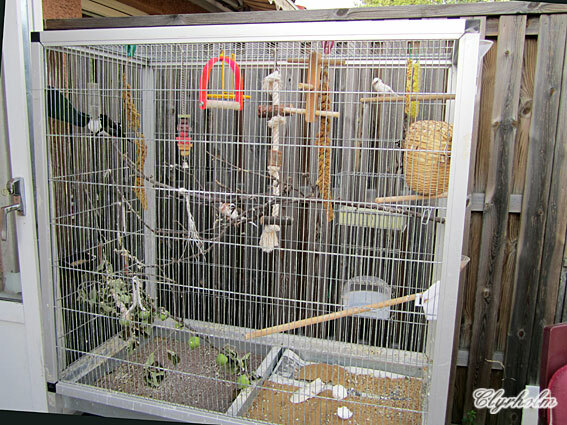 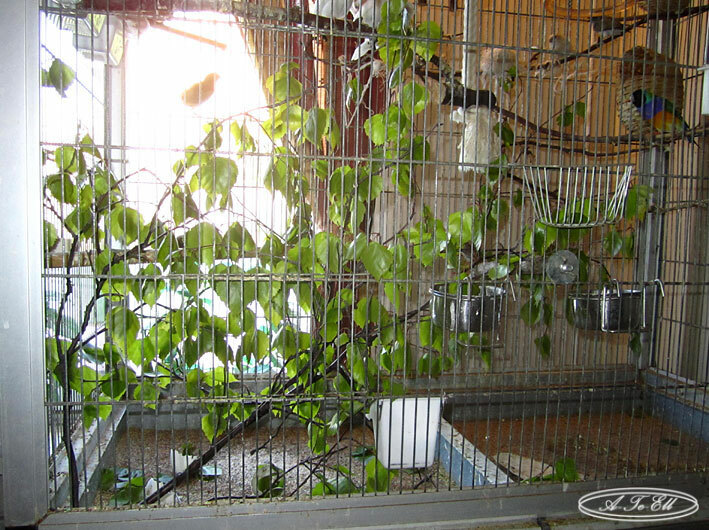 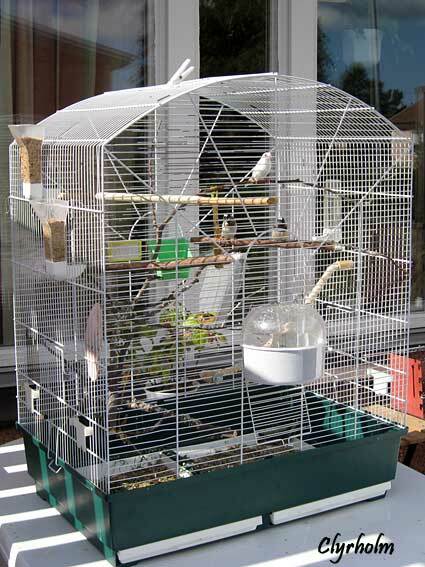 The birds love to be outdoors so they can get socialized with the wild sparrows, but the cage is too big for me to get though the door by myself. 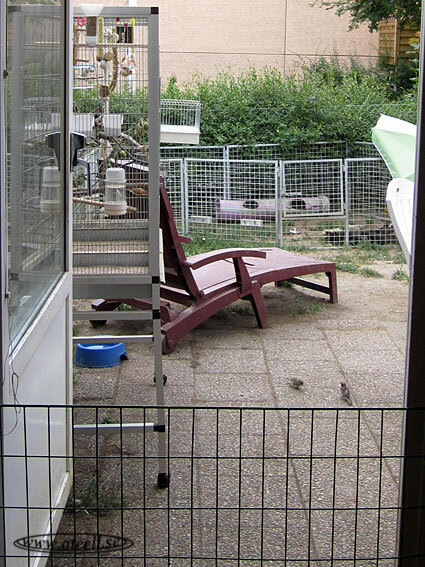 It is only when I get help to do that they get out in the garden. 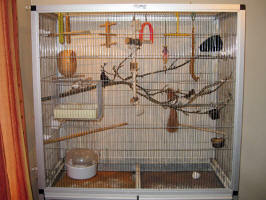 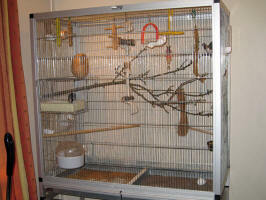 A new cage again. 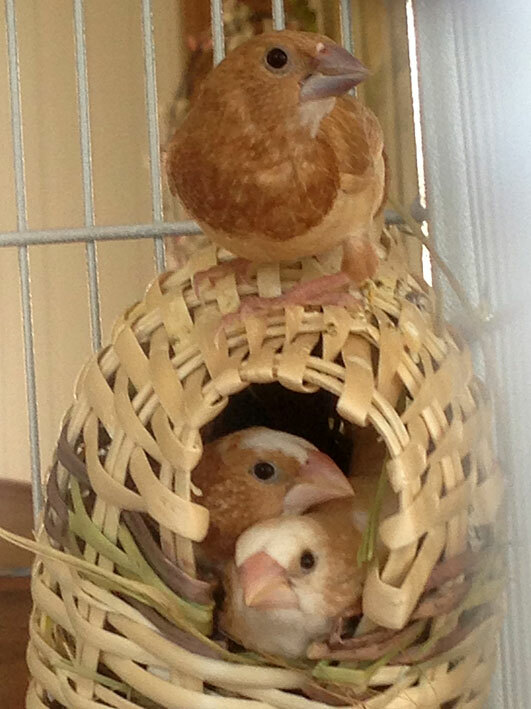 Even bigger this time. 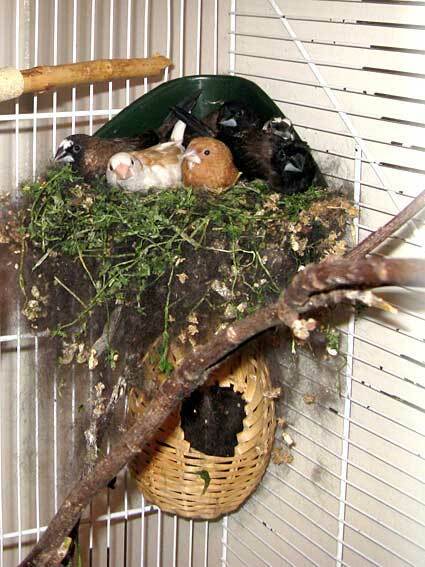 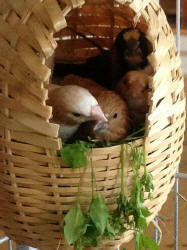 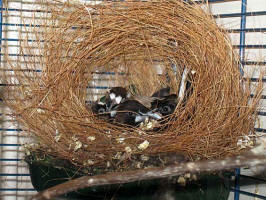 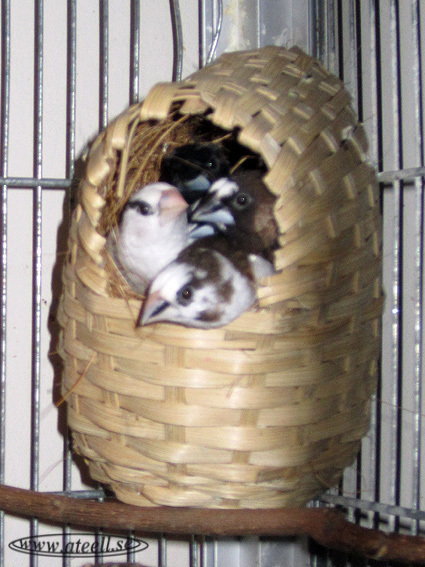 Isabel and Toffee stayed in the old one to nest.